NEW YORK, March 12, 2019 /PRNewswire/ -- Stephen J. Meltzer, M.D., a Professor of Medicine and Oncology at Johns Hopkins University, and Johannes Carolus (Hans) Clevers, M.D., Ph.D., Director of Research at the Princess Maxima Center of Pediatric Oncology in the Netherlands, have been awarded $100,000 by The DeGregorio Family Foundation for Gastric and Esophageal Cancer Research, the Savone Family and the Esophageal Cancer Awareness Association. This award will support Dr. Meltzer's and Dr. Clevers' work, which will focus on the molecular changes that are required to develop esophageal cancer. It uses new technology developed by Clevers wherein he can create tumor organoids (miniaturized and simplified versions of organs) that replicate the tumor in a petri dish. Barrett's esophagus (an irritation in the lining of the esophagus which causes it to become similar to that of the intestine), is a major risk factor for esophageal adenocarcinoma, but the molecular basis for its progression is poorly understood. Better models of this process would yield valuable insights—and primary organoid cultures generated from patient biopsies comprise a novel, improved platform for disease modeling. The research team at Johns Hopkins, where Clevers is currently on sabbatical, will actually change the genetic code of 3-D models of the esophagus. Using a technique known as genome editing, they will alter the "good" genes known as tumor suppressors to make 3-D benign esophageal models turn into 3-D cancers. Based on data from the World Health Organization (WHO), gastroesophageal cancer was the second-leading cause of cancer-related deaths worldwide in 2018 with 1.3 million deaths—and over 1.6 million newly-diagnosed cases. Lynn DeGregorio, President and Founder of The DeGregorio Family Foundation, stated, "We are proud of our accomplishments and thankful for all of the support that we have received. These diseases are very challenging as they present with poor prognoses—a lot more work needs to be done in order to shift this paradigm." The DeGregorio Family Foundation, founded in 2006 after a 10th member of the DeGregorio family died of stomach cancer, has raised close to $4 million to support its strategy of funding innovative and promising research, often in its nascent stages, focused on curing gastric and esophageal cancers. This funding will in turn help to attract follow-on investing. In fact, prior grant recipients have attracted over $12 million in additional funding following their receiving an award from The DeGregorio Family Foundation. 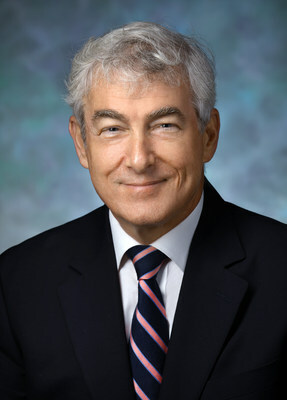 Commenting on his award, Dr. Meltzer, Director of GI Early Detection Biomarkers Laboratory at Johns Hopkins, said, "We hope that this new model system will revolutionize our understanding of esophageal cancer and yield targets for future molecular therapies." Fully 100% of all proceeds raised by The DeGregorio Family Foundation goes towards funding research. Click here to donate and all of your contribution will go towards a cure for gastric and esophageal cancer.